As Israel begins its own investigation into events surrounding the Free Gaza flotilla interception that resulted in nine deaths, it faces objections from states and organizations that have been demanding an international inquiry. These objections are based on two fallacies: one is that Israel is incapable of honest self-examination; the other is the belief that Israel will avoid asking the questions the international community wants asked, specifically concerning the legality of the blockade and Israel's means of defending it. 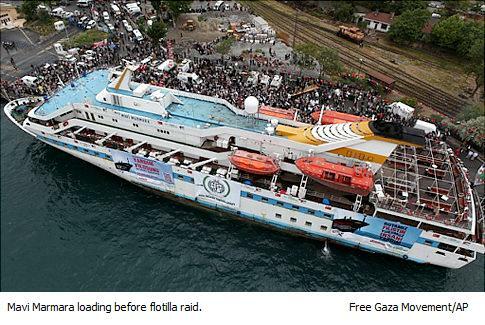 Undoubtedly, they also fear that Israel will investigate matters the international community wants avoided, such as Turkey's complicit involvement in the provocative flotilla, and the relationship between so-called humanitarian organizations and groups such as Insani Yardim Vakfi (IHH) that have been identified as being linked to known terror groups. Let's look at these objections. As for self-examination Israel has, in fact, repeatedly initiated investigations that have been both thorough and harsh. The investigation that followed the 1973 Yom Kippur War, for example, (Agranat Commission) was so critical the Prime Minister, Golda Meir, and Defence Minister, Moshe Dayan, stepped down. Just two weeks after news of the Sabra and Shatilla massacre (the story was broken by an Israeli journalist in Lebanon, who incidentally, also covered the flotilla story), Israel announced an internal investigation. While the investigation concluded no "direct responsibility" (which was fair considering the killings were perpetrated by the Christian Phalangists and were committed with no Israelis present), it was still extremely critical of those who bore "indirect responsibility." "It is our view that responsibility is to be imputed to the Minister of Defense for having disregarded the danger of acts of vengeance and bloodshed by the Phalangists against the population of the refugee camps, and having failed to take this danger into account when he decided to have the Phalangists enter the camps. In addition, responsibility is to be imputed to the Minister of Defense for not ordering appropriate measures for preventing or reducing the danger of massacre as a condition for the Phalangists' entry into the camps. These blunders constitute the non-fulfillment of a duty with which the Defense Minister was charged." The Commission recommended that the Defense Minister resign and that the Director of Military Intelligence and other senior officers be removed from duty. In 2008 the Olmert government saw its demise, in large part due to the blasting it got from the Winograd committee that investigated the Second Israel-Lebanon war. So critical was the report that even Hezbollah leader Hassan Nasrallah praised it, saying: "It is worthy of respect that an investigative commission appointed by [Prime Minister Ehud] Olmert condemns him...When the enemy entity acts honestly and sincerely, you cannot but respect it." Significantly, he added: "Even though they're our enemies, it is worthy of respect that the political forces and the Israeli public act quickly to save their state, entity, army and their existence in the crisis." That's not to say the government has always initiated independent investigations when it should have; I've argued before that Ben-Gurion opened the door to continuing massacre allegations by not holding open investigations with international participation after the War of Independence. The second criticism of an Israeli-held inquiry, that Israel will fail to investigate the blockade itself, is wrong-headed. The legality of the blockade is a matter for an international court, not the kangaroo court known as the UN Human Right Council. International law isn't that cut and dry, but in its broadest sense it can be defined as the body of rules that nations recognize as binding upon one another in their mutual relations. I would expect the International Tribunal for the Law of the Sea may want to initiate an investigation of its own but that may be dependent on a complaint being filed. Of course, this is unlikely since the most bombastic complaints against Israel come from states whose own behaviour is suspect, especially Turkey, which wouldn't welcome an investigation into its illegal blockade of Armenia. The real issue isn't whether or not Israel had a right to defend itself with a blockade (of course it does, otherwise the US and NATO would have sent ships directly to Gaza right from the start and that would have been the end of it); it's not even if Israel had the legal right to board the vessels and direct them to a port for inspection. Even the most critical law experts have agreed this is a grey area, and a legal case would be prolonged and complex. The International community's secondary concern, that an Israeli inquiry must investigate what they deem is Israel's use of disproportionate force, is based on a lack of understanding of the term, and the right of states to defend their sovereignty. Or willful ignorance. 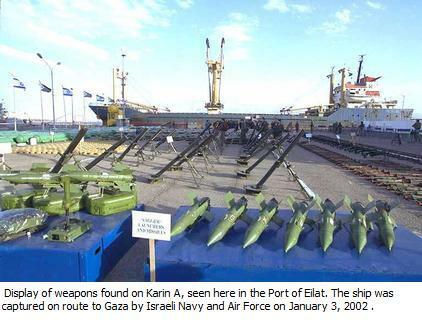 As the entity designated responsible for maritime border control under the Gaza-Jericho Agreement (1994), Israel has every right to inspect ships entering its waters, or in the case of the flotilla, ships that advertise an intent to violate a blockade. Embargo searches can be conducted outside 12-mile territorial waters as long as the vessel isn't in someone else's waters. As for the use of force, it is appropriate that individual soldiers not be investigated by international commissions; their actions were either the result of orders from commanding officers, who then bear responsibility, or were individual actions of soldiers violating Israel's own Ethical Code of Behavior. These ethical instructions are a part of every soldier's training both during war and peacetime. Soldiers are instructed: "to use his arms and his power to subdue the enemy in the necessary degree, and will restrain himself in order to prevent unnecessary harm to human life, limb, honor and property." Soldiers are also commanded to respect human life: "The soldier will protect human life to the utmost, out of awareness of its highest importance, and will only place himself or another at risk to the degree required to carry out the mission." I believe the IDF has a special responsibility to prevent all abuses, report on them immediately, investigate the validity of accusations and most importantly, follow up with arrests and punishments if warranted. To Israel's credit, this often happens, as this week's disclosure that a soldier is about to be charged for murder for the deaths of two women during the Gaza mission proves. 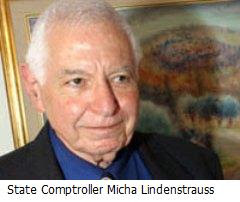 Regardless of any international investigation, Israel has, in fact, established three independent investigations into the flotilla incident, not for the sake of the UN, but because Israelis by the thousands have demanded it: the Terkel Committee that was announced this week, an investigation by State Comptroller Micha Lindenstrauss (who has promised to focus on the legality of the government's decision-making process), and an IDF inquiry headed by Major General (ret.) Giora Eiland. Israel is actually one of the few countries in the world whose army even has an Ethical Code of Behavior. That's not going to prevent the unnecessary deaths of civilians, but who should be examining the actions of the IDF, and demanding strict adherence to its moral code, more than anyone, are the Israeli people themselves. And that's exactly what is happening. Posted by Morey Altman at 6/16/2010 04:39:00 p.m.
for what it's worth - by that observation you acquired yourself a fan. "Undoubtedly, they also fear that Israel will investigate matters the international community wants avoided, such as Turkey's complicit involvement in the provocative flotilla, and the relationship between so-called humanitarian organizations and groups such as Insani Yardim Vakfi (IHH) that have been identified as being linked to known terror groups."